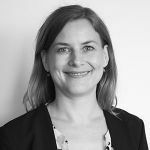 Dr. Simone Sandholz is Associate Academic Officer in the Vulnerability Assessment, Risk Management & Adaptive Planning (VARMAP) section of UNU-EHS. She holds a PhD in Geography from the University of Innsbruck, Austria. In her research, Dr. Sandholz focuses on different aspects of future-oriented urban vulnerability and risk analysis with a focus on urban areas. Her particular fields of expertise are urban and green infrastructure, urban regeneration, nature-based solutions for disaster risk reduction and climate change adaptation, good governance and livelihood approaches, based on empirical social research methods. Besides her ongoing research in the ZURES and KIRMin projects she supports the section heads in proposal writing, supervision of team members, guest scientists, master students, and interns, and is teaching in different universities in Germany and abroad. Dr. Sandholz has (co)authored various research papers and is co-author of a MOOC on “Disasters and Ecosystems: Resilience in a Changing Climate” led by UNEP. Dr. Sandholz has previously worked as assistant professor at the University of Innsbruck, where she was part of the working groups ‘Development Studies and Sustainability Science’ and ‘Natural Hazards Research’. She acted as scientific coordinator of the Center for Natural Resources and Development, a global university network under the “Higher Education Excellence in Development Cooperation” Programme of German Academic Exchange Service and the German Federal Ministry for Development and Cooperation (BMZ) at TH Köln. She has conducted projects on aspects of urban resilience in Latin America and Asia, supported by the Lincoln Institute of Land Policy and Eurasia-Pacific Uninet. For her MSc and PhD fieldworks she won scholarships from German Academic Exchange Service and the ASEAN European Academic University Network and received awards for her theses. Sandholz, Simone, “Eine Zukunft für die Vergangenheit?” in Quartiersentwicklung im globalen Süden. Jahrbuch Stadterneuerung, ed. Altrock, Uwe, Kurth, Detlef, Kunze, Ronald, Schmidt, Holger and Schmitt, Gisela ( Wiesbaden: Springer VS,2019), 1-31. Lange, Wolfram, Sandholz, Simone, Viezzer, Jennifer, Becher, Martin and Nehren, Udo, “Ecosystem-Based Approaches for Disaster Risk Reduction and Climate Change Adaptation in Rio de Janeiro State” in Strategies and Tools for a Sustainable Rural Rio de Janeiro, ed. Nehren, Udo, Schlueter, Sabine, Raedig, Claudia, Sattler, Dietmar and Hissa, Helga ( Cham: Springer,2018), 345-359. Sandholz, Simone, “Shaken Cityscapes: Tangible and Intangible Urban Heritage in Kathmandu, Nepal, and Yogyakarta, Indonesia” in Going Beyond Perceptions of Sustainability in Heritage Studies No. 2, ed. Albert, Marie-Theres, Bandarin, Francesco and Pereira Roders, Ana ( Cham: Springer,2017), 161-173.